Solid braid, shrink and abrasive resistant. Very flexible with good shock absorbency. 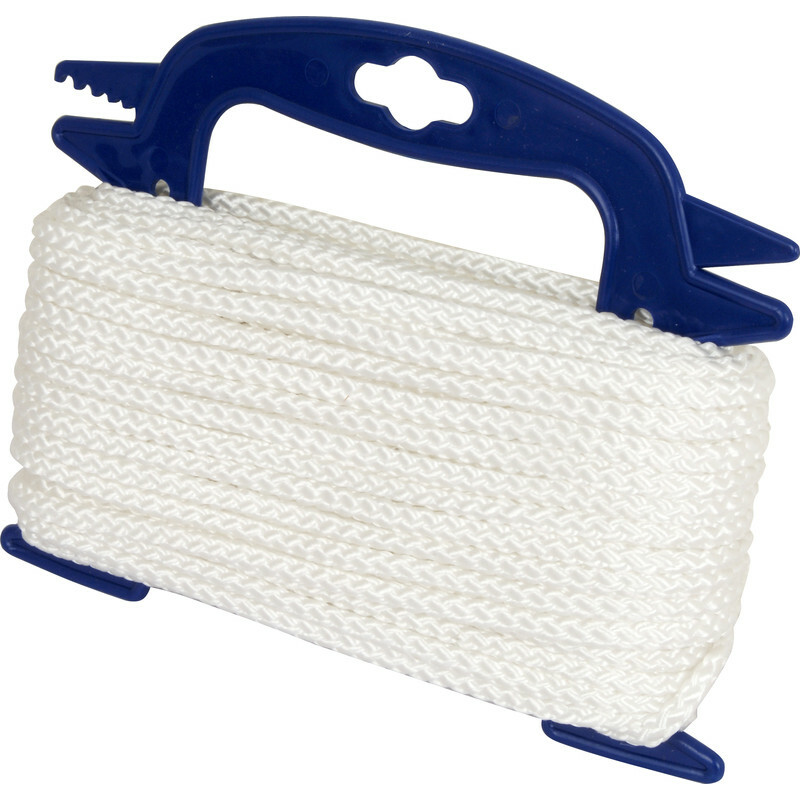 Multi Function Rope 3mm x 30m is rated 4.5 out of 5 by 20. Rated 5 out of 5 by Raingod from Good quality cord Bought to replace the cord on my telescopic tree pruner. Just the right diameter and pliable without stretching. Spot on. Rated 3 out of 5 by dr w from Great value but is it Polyester or Nylon? Description doesnt state but burning gives off tell tale white smoke instead of black and its fairly stretchy so its Nylon as far as I can tell. Unfortunately that makes it useless for what I needed as low stretch was important, oh well, it will go in my draw of things too good to throw away for some other future project. Rated 2 out of 5 by alwhit from Bigger than stated Be careful with this cord as its more like 3mm x 6mm and quite stretchy and subject to twisting/tangling which makes it impossible for replacing curtain track cord as l recently found to my cost. Rated 5 out of 5 by arty olly 404 from Great value for money I had to go to Kings Lynn Shop as the 30m I had delivered wasnt quite enough and the rope was such good value we could just pop up to kings lynn to buy another to finish off the job round our pond to hold up the net to keep the herons out. Rated 5 out of 5 by DIYDolly from High quality This was higher quality than I expected for the price. VERY strong. Rated 5 out of 5 by Old dog new tricks from Low cost non stretch rope. Got this to replace guyropes on a garden gazebo - worked a treat. Used superglue to "lock" the knots, worked well. No stretch in rope, which is good. Rated 5 out of 5 by Lionel from A good product, knot kidding. Glad that this turned out to be just what I wanted to tie various things up in the garden and garage. I hate buying ropey products!